Accra, April 6, GNA – Mr Samuel Obiri, Senior Scientist, Centre for Scientific and Industrial Research-Water Research Institute has urged government to institute a framework to ensure effective use of wastewater in the country. He said wastewater needed to be recognised in the water cycle since it was the greatest untapped opportunities to enhance sustainable development. Mr Obiri said this in Accra in an interview with members of the Water and Sanitation Network of Journalist as part of activities to mark this year’s national celebration of World Water Day on the theme ‘Water and Wastewater’. He said the country needed a policy direction to psyche the minds of Ghanaians to understand the importance of treating wastewater for its reuse since other countries like Singapore and Canada had done same. Mr Obiri enumerated issues such as ineffective policies, weak regulations and laws, corruption and lack of appropriate infrastructure and lack of investment in human capacity building as factors that hindered the effectiveness of wastewater management. He noted that it was imperative for government to allocate enough money to the sector and the willingness for the citizenry to pay taxes to invest in infrastructure for the water sector development. Mr Obiri urged government to develop innovative ways of streamlining the water industry from activities of pollution such as illegal mining that affected the country’s water bodies. This he explained could be possible when there was effective monitoring and evaluation mechanism in place to ensure transparency and accountability in the system. He said the country need to consider wastewater as a resource because of a global climate change which caused disruptions in the world’s natural hydrological cycles, thereby having effects on water quality and supply. Mr Obiri said increased acceptance and reliance on reclaimed water would play a key role in mitigating the impacts of global climate change. According to UN Water, the waste water from the homes, cities and industries, which could be reused was lost. Some of the most important measures to practise water conservation in aroundd areas include re-use of effluent from industries, artificial aquifer recharge and the utilisation of sand storage dams to reduce evaporation. Nairobi’s Kaloleni Estate is like a town that city fathers forgot: Rusty pipes, blocked sewers and rivulets of a dark oily substance are its daily hallmarks and it wears them like emblems of shame. Decades of neglect have turned this once beautiful estate — in past years characterised by manicured lawns and streets lined with Jacaranda trees — into a site of derelict homes, overgrown grass and aged roofing. Kaloleni today sticks out like a sore thumb. It looks nothing like the estate built to house Nairobi’s 1950s and 60s middle-class. For Ms Clementina Otieno, who has lived here since 1973 when each house had clean, running water, Kaloleni is a far cry from its glorious days. She only stays on because for Sh2,500 a month, she has a three-bedroom house. The last time she saw water flowing in her kitchen was in 1991, when Steve Flavian Mwangi was elected mayor of Nairobi. That was 26 years ago. When we met her, a handcart had just pulled up to deliver water, a ritual that she, and her neighbours, are now accustomed to. As the Nairobi population grows, the reality is dawning on city fathers that they might not be able to deliver water to all the residents. The tens of vendors who deliver water to Kaloleni are now filling a gap left after City Hall uprooted the old pipes with a promise that they would replace them. “They didn’t. Up to now, the meters and the water pipes have never been seen again,” said Ms Otieno. Kaloleni reflects the general problem facing Nairobi’s close to five million people, who are facing a water crisis that might not end soon. At the moment only 220,000 households in the city are supplied with water and although the Nairobi Water and Sewerage Company pumps 550,000 cubic litres a day to the city, officials say that 40 per cent of this is never accounted for and is either stolen or leaks to the ground due to aged pipes and illegal connections. With the acute water shortage that is now the norm in the seat of government, the aged pipes rust and once water is pumped with force they puncture easily. Whenever this happens, some estates have to go without water for a week, sometimes longer. For a city that has not invested in upgrading its water piping system, Nairobi is also grappling with vandals who take advantage of the unregulated scrap metal market. City Hall officials blamed some of the leakages on vandalism of metal pipes. They are now investing in plastic ones because these are not targeted by vandals. However, there is a historical problem that has turned into a nightmare. “Some of the underground leakages are hard to detect since water seeps in the foundation of old buildings,” said Mr Gichuki. Such leaks cannot be detected by the naked eye. In the recent past, the company has invested in leak detection tools that use helium gas to detect underground leakages. With some buildings in Nairobi dating back to the 1920s, when the city grew from a small railway depot to a commercial hub, the pipes in some of the estates now lie below highrise buildings and it is now impossible to fix leaks on such locations. As a result, the city is losing 57,200 cubic litres or 10.4 per cent daily through leakages that cannot be seen. Mr Gichuki said this leakage loss amounts to 40.35 per cent of water lost by the company. In its books, Nairobi Water calls it Non-Revenue Water because it is never accounted for and does not earn any revenue. Under international standards, a water company is allowed to lose about 25 per cent of the water pumped from its dams. In the past three months alone, the company has reduced its water production to 440,000 cubic litres — which is 20 per cent below its normal production — due to the low water levels at the Ndakaini Dam. The water levels at the dam now stand at 30 per cent while at Sasumua it is at 57.1 per cent. As the rationing goes on, Kaloleni and its residents have to wait much longer for Nairobi to sort out its water problems. According to the Nairobi Water Strategic Master Plan (2015/16-2018/19) the city proposes to invest Sh3.2 billion to reduce non-revenue water from 40 to 16 per cent by June 2019, only two years from now. The company also hopes to install regional boundary bulk water meters to avoid central reading of the meter which is prone to inaccuracies. Mr Gichuki said there is little that can be done about the aged pipes because the company lacks sufficient resources to undertake the work and also because of the many developments sprouting in the city. Pipes in the old City Council estates that include Bahati, Huruma, Mbotela and the City Centre are now more than 80 years old and have never be replaced. As a sign of their healthy relations, the Ivoirian Government on Thursday, March 23, 2017, in Abidjan, partnered with the African Development Bank (AfDB) and other development players, to commemorate World Water Day. World Water Day is celebrated every year on March 22. It is an opportunity to raise awareness on water issues. This year, the event was celebrated under the theme wastewater. The ceremony, held at the Ivorian Prime Minister’s Office allowed speakers to not only underscore the criticality of water and sanitation to the social and economic well-being of Ivorians but to also draw the public’s attention to the urgent need to turn wastewater into a source of wealth. Representing the Prime Minister of Cote D’Ivoire, Ms. Anne Désirée Ouloto, Minister of Hygiene, Environment and Sustainable Development and Deputy Spokesperson of the Ivorian Government said wastewater should not be the source of diseases and poverty. Wastewater, she said, should rather be viewed from an income generation lens. Minister Ouloto said water and sanitation are central to the government’s 2020 vision which aims to make Cote d’Ivoire an emerging country. Several projects demonstrate the Bank’s commitment to the water and sanitation sector in Côte d’Ivoire. The Gourou Integrated Watershed Management Project, financed by the Bank for approximately 23.30 million Units of Account (UA) in 2010, has improved environmental management and treatment of solid waste, job creation, improved sanitation, and better health outcomes for about 280,000 people targeted in the District of Abidjan. Close to US $350 million was mobilized in October 2016 for Phase II which primarily seeks to consolidate the gains of the first phase. Representing the Bank at the event, Jean-Michel Ossete, Acting Coordinator of the African Water Facility said, “the possibilities of exploiting wastewater are considerable. Costs of wastewater management are substantially outweighed by economic benefits associated with improved human health, economic development, and environmental sustainability.” According to Ossete, the Bank “will continue to support public and private initiatives in the water and sanitation sector in general and wastewater in particular. Political commitment is vital for the success of water and sanitation projects. Ossete also urged African governments to give greater priority to water and sanitation. 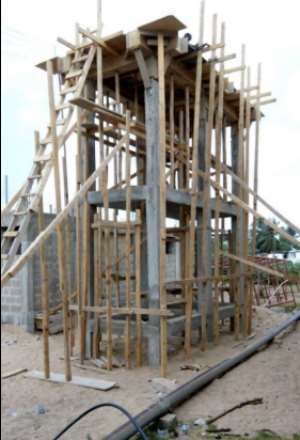 The Ketasco past students in North America have come together to raise funds to build a water tower for the girls’ dormitory which has been affected by water shortage ever since the old tower collapsed. The president of the association Mr. Grant Ayayee (1975) stated that he received SOS call from the headmaster of the school, Mr. Sedeanu Kwao, to mobilize funds for the singular purpose of getting this project underway. Within a space of two months, members of the association selflessly donated various amounts of money to get the project underway. The association in North America has as its aim of aggregating resources to ensure that such short term projects are undertaken without hitch to ensure a tranquil environment for teaching and learning. With a new status as a 501c3, the association is gearing up its efforts to look for avenues to get materials and funds to their alma mater in the very near future. A call is therefore being sent out to all those who care for a good cause to show their generosity to such a just cause, a cause that is meant not to benefit members directly but to a school that shaped them into what they are today. Essakyir (C/R), March 10, GNA – The students and staff of Essakyir T.I. Ahmadiyya Senior High School (SHS) in Ekumfi District of the Central Region are facing an acute water problem, which is disrupting teaching and learning at the school. Mr Mohammed Quantson, Headmaster of the school in an interview with the Ghana News Agency (GNA), described the situation as one that was unbearable for school authorities as it affected academic work. The school spends about Gh¢900.00 every week on water and that, he said was taking a toll on the finances of the school. 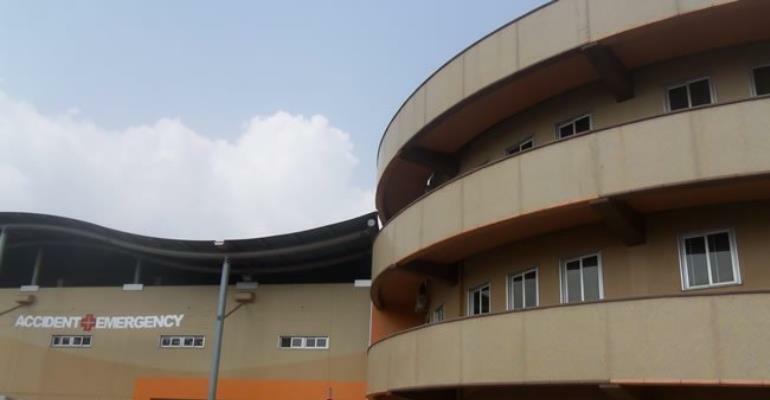 He said the school has since its establishment not been connected to the Ghana Water Company’s system and appealed to the Government to help bring portable water to the school. ‘The only borehole supplying about 1,251 students and over 80 teaching and non-teaching staff of the school is very salty and difficult to use,’ he said. Mr Quantson also mentioned the increasing student population as another problem and expressed fear that overcrowding in the dormitories could be worse, indicating that ‘it will be a great relief to us if the dormitory block is completed for us’. Other challenges enumerated by the headmaster included inadequate classrooms, staff accommodation and poor road network in the school. He has therefore appealed to old students, non- governmental organisations, philanthropists and other corporate institutions to come to the aid of the school. Abutia-Kloe, March 10, GNA – Women at Abutia-Kloe in the Ho West District said access to potable water remained their greatest challenge in the farming community. The women said they walked several kilometres to fetch water from streams after one of the two boreholes provided by the Adventist Development and Relief Agency (ADRA) broke down. Speaking to the Ghana News Agency at a forum by the Department of Gender to mark this year’s International Women’s Day at Abutia-Kloe, the women said it was an odd spectacle to see girls and women going round the community and beyond in search of water around 0400 hours. They said in most situations, they returned home at about 0900 hours with little or no water for use at home. A middle-aged woman who spoke on anonymity said the problem was affecting their tie and dye and gari and oil processing businesses. She said the situation was also affecting the education of girls who were tasked to search for water before and after school, some of whom fell prey to boys and men, increasing cases of teenage pregnancy in the community. Madam Boateng Sitsofe Ama, Assemblywoman, Abutia-Kloe Electoral Area, said the over 3,000 people living within the area depended on one borehole. Madam Sitsofe said those who fetched water from the streams had the laborious task of sieving and boiling the water to avoid contracting waterborne diseases. Ms Comfort Ablormeti, Volta Regional Director of the Department of Gender expressed worry about the situation and called for the empowerment of rural women economically, so they could contribute more to national development. The forum was themed, ‘Economic Empowerment of Rural Women: A Tool for Sustainable Development in a Changing World of Work’. Ghana’s Environmental Sanitation Policy; Have We Made Progress? The National Environmental Sanitation Policy (NESP) was prepared by the Ministry of Local Government and Rural Development. It was approved by Cabinet at its meeting held on Thursday 8th April, 1999 and revised in 2010 to redirect the country’s efforts to the Millennium Development Goals (MDGs). The policy was approved by Cabinet at its meeting of 31st March 2010, with various directives towards achieving desired environmental sanitation standards. Environmental Sanitation was identified in Ghana’s programme of economic and social development in “Vision 2020” as a key element underlying health and human development. It identifies aspects of improved management of human settlements and environmental protection as key factors. Consistent with the national socio-economic development frameworks such as GPRSII, MDGs and the Accra Agenda for Action (AAA) and the New Partnership for Africa’s Development (NEPAD), the overall goal of the Environmental Sanitation Policy was to develop and maintain a clean, safe and pleasant physical environment in all human settlements, to promote the social, economic and physical well-being of all sections of the population. Achieving this height, the following policy objectives were outlined; (a) Collection and sanitary disposal of wastes, including solid wastes, liquid wastes, excreta, industrial wastes, health care and other hazardous wastes; (b) Storm water drainage; (c) Cleansing of thoroughfares, markets and other public spaces; (d) Control of pests and vectors of disease; (e) Food hygiene; (f) Environmental sanitation education; (g) Inspection and enforcement of sanitary regulations; (h) Disposal of the dead; (i) Control of rearing and straying of animals; (j) Monitoring the observance of environmental standards. At least 90% of the population has access to an acceptable domestic toilet and the remaining 10% has access to hygienic public toilet. The majority of environmental sanitation services are provided by the private sector. The Multiple Indicator Cluster Survey of 2012 indicated that 71% of the population is using improved variety of household latrines ranging from flush toilets connected to sewer or septic tanks, VIP latrines and pit latrines with slabs. It also reported a high percentage of usage of improved facilities in urban areas (about 83%) as against less than 45% for rural areas. Data from the draft report on 5th Round of the Ghana Living Standards Survey (GLSSV) gives coverage of 26.6% and 21.9% in 2006 for urban and rural areas respectively, while the Ghana Demographic and Health Survey (DHS, 2008) gave a coverage of improved sanitation facilities of 11.3%.The MDG target of reducing by half the proportion of people without access to improved water has been achieved ahead of time. The establishment of institutions proposed initially by the policy and healthy partnership with private sector agencies in the management of waste is a success. Though sanitation problems still exist, there has been an improvement over the 1999 figures in terms of service provision. However, these statistics though seem favourable, most of the proposed outcomes and objectives of the policy are still yet to be achieved. The carefully drafted and well purposed sanitation policy of Ghana is battling to live beyond theory. Although responsibilities have been assigned to individuals, local communities and private firms, the average Ghanaian only realizes the existence of these responsible bodies in terms of cost, but not benefits. Most Ghanaians do not even know the existence of such policies. The flaws in ensuring environmental sanitation could be analyzed with reference to services such as water supply, drainage systems and more importantly solid waste management, etc. A careful look at the linkage between the MDGs and now the SDGs reveals that environmental sustainability is outstanding in development. Although the Government of Ghana is committed to the principles of the MDGs, SDGs and other development frameworks, such commitments have all but failed. The efficiency of environmental sanitation services to a large extent is contingent on their reliability and regularity of service provision. The issue of direct cost recovery from users pursued by service providers is usually seen as a burden by the consumer. The policy specifies that where full direct cost recovery is not possible, the shortfall or the cost of any service not charged for shall be subsidized by the Assembly. A major problem in this regard, however is how to generate revenue to cover the cost of sanitation services by the Assembly. The policy sanctions the use of the Polluter-Pays Principle to correspond with the cost of restoring environmental damage, however this is hardly practiced. The willingness to pay for sanitation services is a general problem. People prefer to use illegal dumping sites to paying for collection. Due to the difficulty in recovering cost in most cases, the public has entrusted most sanitation provision mandates to private sector agencies such as Zoomlion Ghana Limited, etc. These entities, however tend to skew their services to individuals or communities who can afford, but not to those who really need the services. Few years ago, the Ministry of Local Government and Rural Development began what was called the National Sanitation Day on the first Saturday of every month in fulfilment of the NESP. Although the whole idea was laudable and intended to arouse the consciousness and desire of people to live clean, it was seen by many Ghanaians as a ‘political gimmick’. But wait, may be it was a political gimmick after all because the ‘National Sanitation Day’ was marred with corruption, politicization and lukewarmness from Ghanaians. Our lack of commitment as citizens to sanitation issues is making our environment dirtier every blessed day. Unequivocally, I can say that the state of Ghana’s environmental sanitation is dirt, filth, obscenity, indecency and trash; waste everywhere. Our gutters are chocked with plastics and stagnant waters, streets are dirty with gibberish, and fly-tipping is rampantly on the riser. The implications of this is stench, unsavory odour and sickness. The Assemblies are not able to collect and dispose of waste materials in the most appropriate ways regularly as premised in the policy. Access to hygienic toilet facilities in Ghana is unpalatable. The easiest way for people to defecate in Ghana is through open defecation. Open defecators usually cite the lack of finances, insufficient funds, “too expensive,” or “don’t have money” as key barriers to building latrines or making improvements on their toilet facilities. Ghana is ranked the second country in Africa for open defecation with a whopping five million and over of Ghanaians without access to any toilet facility. In the Upper East, Northern and Upper West regions of the country, 89%, 72% and 71% of people respectively are without access to any toilet facilities, hence resort to open defecation. These among other unaccounted problems are bringing the country’s environmental situation back to where it began. So, have we as a country made progress in achieving the objectives of the National Environmental Policy? To me the successes of the policy though commendable cannot match the lacuna of problems that are still unresolved. Maybe you can be the best Judge! The Ghana Poverty Reduction Strategy II (GPRS II) noted that lack of self-discipline is the cause of most sanitation related problems (such as improper disposal of waste) the country is facing. The throwing of plastic waste “anywhere” by Ghanaians without due regards to the physical environment need to be curtailed. Effective public sensitization could be adopted to change the irresponsible behaviour of some people towards the environment. People need to be educated on the need to respect and value environmental resources. Maybe the problems are already existing but changing our attitudes towards environmental resources, stopping indiscriminate felling of trees, planting more trees, recycling and reusing waste materials can help curtail the problems. Without these, our common resources will continue to be imperil by users. Prior to the introduction of the policy some institutions were established to facilitate the achievement of policy objectives. However, some of these institutions are so dormant in carrying out their mandates. Wrong people are placed at right positions in some instances. There is the need to formulate mechanisms for regular auditing especially at the MMDAs and other public agencies in their efforts towards achieving policy objectives. A major challenge of the sanitation policy is funding. This has prompted the partnership with private agencies which have had their fair share of criticisms especially in economic sense. Soliciting donor support, formulating strategies to generate funds internally by various Assemblies, among other alternatives can be adopted to supplement government allocations. Popular attitudes towards sanitation and common pool resources in general could be curtailed by introducing on-the-spot fines for culprits. These could range from cash to sanitation related community services such as cleaning of gutters. This will discourage open defecation, urinating at unauthorized places, fly-tipping and other improper disposal of solid and liquid wastes across the country. It is however pathetic sometimes that the very people reposed with the responsibility of ensuring order are themselves culprits. This notwithstanding the security services need to be firm and intrepid in dealing with culprits of environmental laws in the country. Plastic waste to a large extent is non-biodegradable. The practice whereby goods are packed in plastic materials (even when one buys a sachet of water) should be discouraged. Consumers should develop the habit of reusing plastic bags such as polythene and cellophane, among others. Although paper bags are comparatively expensive, where they are available, consumers should always take good of them for reuse. University for Development Studies -Wa, Ghana. Several communities across the country are faced with acute water shortage, a situation officials blame on destructive human activities. Residents in the Northern, Central, Western and Brong Ahafo Regions are left with no option but of trekking miles to access water from rivers that are fast drying up. Officials of the Ghana Water Company Limited (GWCL) have attributed the shortage to drought and activities of illegal miners. The company, a week ago, was compelled to shut down its plant in Sunyani in Brong Ahafo Region after the Tano River dried up for the first time in over 40 years. Sellers, school children and restaurant operators are the worst hit. Reports by Joy News Regional Correspondents point to what appears to be a looming danger if authorities fail to act swiftly. Central Regional Correspondent, Richard Kojo Nyarko reports that residents in Abura, a suburb of Cape Coast have been without water for nearly three weeks. He said officials of GWCL have explained the situation is due to the erratic nature of power supply as well as activities of illegal miners. “The water comes on for awhile and goes off, but for the past few weeks people don’t have water,” the reporter said. The situation in the Northern Region is more complex, Regional correspondent Hashmin Mohammed reported. He said the GWCL has been unable to preserve enough water for distribution due to some technical challenges. 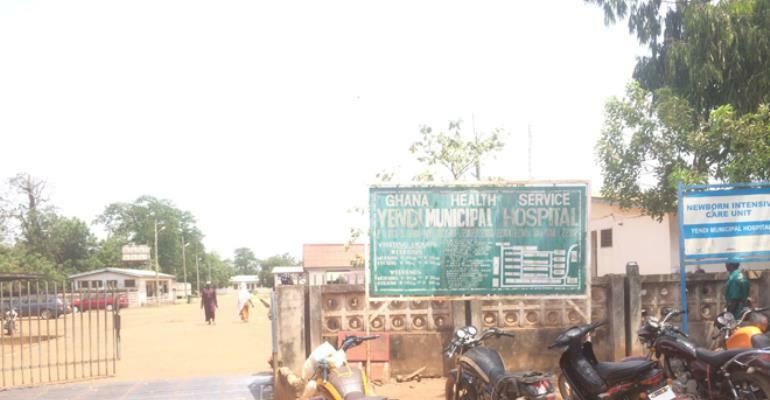 Residents of Yendi would soon be left with no option than to drink contaminated water if authorities do not intervene because the Dakar river which supplement water produced by the GWCL is drying up. The reporter said GWCL officials have promised to arrange for a water tanker to supply the people with water. “That will mean that the service tankers will have to fetch the water from Tamale and journey to Yendi,” Hashmin said envisaging difficulties with the solution. The situation in the Western Regional capital Sekondi-Takoradi is not any different. The Bosomase River is also drying up due to the impact of the activities of galamsey operators. Residents say the situation has persisted for more than a month and have called on Water officials to address the shortage. Meanwhile, the Environmental Protection Agency (EPA) is warning the Pra River in the Western Region may dry up as it has happened to the Tano River in the Brong Ahafo Region. Director for Natural Resources at the Environmental Protection Agency (EPA), Carl Fiati said the failure of law enforcers to deal with illegal mining is compounding the problem.